From Ciampino Airport Outside the Arrivals building several coach services await to take you to Termini in the city centre. Tickets can be bought on the ground and, contrary to the advice of your cabin crew, are not cheaper if you buy them on the plane. Terravision, who are affiliated with the airlines, tend to be the most expensive and have the longest lines. From Fiumicino Airport The Leonardo Express train runs roughly every half hour and goes direct to a special platform about half a mile up the tracks at Termini Station. To save money on the train tickets however, you can also take the non-express regional train. From Termini Station Exit the station on Via Marsala (if you took a coach from Ciampino Airport you'll already be on Via Marsala). Cross the road and walk one block to Via Magenta and then turn left. Hotel Milani Rome is at number 12 on the right. If you come to a large Piazza with grass in the centre, you've gone too far. 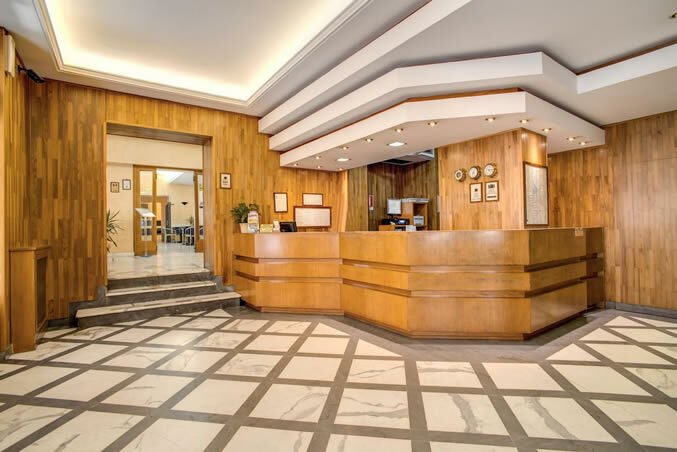 There are many advantages to be had from staying in the very centre of Rome during your holiday, but being so close to Termini you'll not only have fantastic access to any part of the city, you'll also find it extremely convenient to get back to. in addition, Termini offers direct links to both the city's airports, reducing the hassle of getting around with your luggage to a minimum. Hotel Milani Rome Airport Transfer Service - Have our driver meet you at Arrivals for a truly competitive rate - enquire when you book online. Advice on Taxis - Taxi drivers in Rome are not to be trusted and should be avoided whenever possible - especially at the airports.